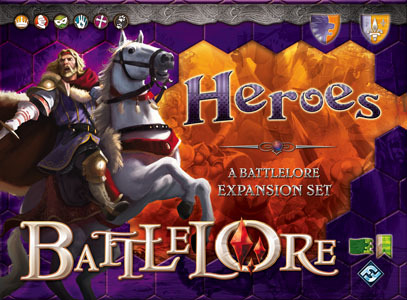 BattleLore: Heroes introduces player-created Leaders and Champions to augment your camp's forces in battles. As with all journeys, the beginning is never easy. As a fledgling adventurer, you begin with a bare minimum of skills and artifacts to help you combat the enemy. Adventures have the potential to reward your intrepid Hero greatly if he performs well. But beware, battlefields are not without peril, and taking too many wounds may force your Hero into an unwanted early retirement. Prepare yourself for the journey of a lifetime!